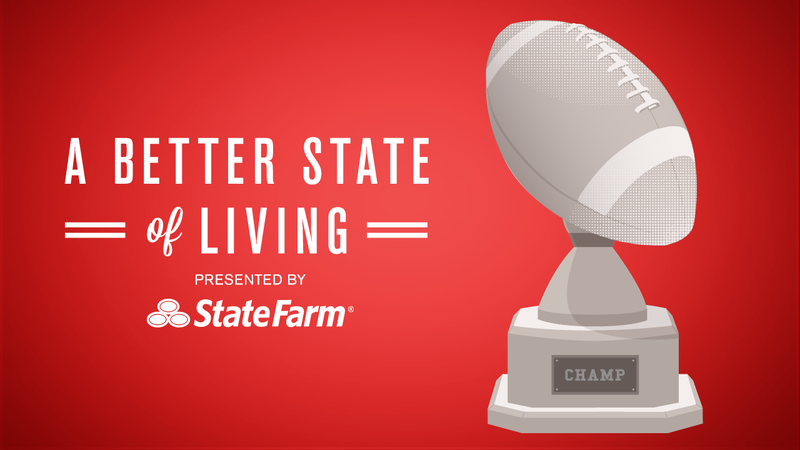 Deadspin's Better State of Living Conversation series is brought to you with the support of State FarmTM. Today, fantasy sports expert is live in the comments to answer your questions about playoff season. I'm here today to talk a bit about preparing for the fantasy playoffs, and to answer some of your questions in the Q&A section below. As the Senior Editor for 4for4.com, I'm pretty good at ranking players. In fact, I caught the attention of the fine folks here by being named the Most Accurate Expert of 2010 by FantasyPros, and being #2 in 2011. As I type, I'm tied for 3rd place in the 2012 study. In the past three seasons, Schaub has averaged 258 yards and 1.6 touchdowns per game, so he's a capable quarterback who can put up good fantasy numbers in the right matchup. And does he ever have the right matchups during the fantasy playoffs. He faces the Patriots, Colts and Vikings, who have collectively allowed an average of 248 yards and 1.9 TDs through the air on the year. Greene is much-maligned in fantasy circles for his lack of explosion and general slowness, but he has plenty of opportunity, and that's one of the key components to success in fantasy football. In two good matchups this season (versus the Bills in Week 1 and the Colts in Week 6), Greene amassed 59 carries for 255 yards and four touchdowns. During the fantasy playoffs he faces the Jaguars, Titans and Chargers, who combine to give up the second-highest average fantasy points to RBs over that span. Prior to his shoulder injury in Week 5, Amendola was the #10 WR in standard formats and #4 in point per reception (PPR) formats. He has since been dumped in a lot of leagues, but is definitely worth a pickup (or perhaps a trade) due to his terrific schedule against the Bills, Vikings and Buccaneers during the fantasy playoffs. If he's not available, consider Cecil Shorts, who has been very productive lately and faces the Dolphins and Patriots in Weeks 15-16. Celek hasn't exactly lit it up this season, but he's always involved in the Eagles' offense and in Week 14 and Week 15 he has matchups with the Bengals and Redskins — two teams that have allowed a ton of fantasy points to opposing tight ends this season. I'm here right now, ready to answer whatever fantasy football questions you may have, so seriously, hit me up. And in the meantime, as a special thanks to Deadspin readers, 4for4 is offering a free two-week subscription so that you can get access to my award-winning rankings (and everything else the site has to offer). Check it out here, and make sure to follow me on Twitter for more insights into this year's fantasy season.